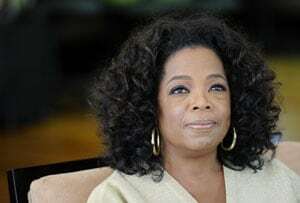 Oprah Winfrey, who is currently filming Martin Luther King's biopic 'Selma', failed to match the $2 billion offer placed by Steve Ballmer, CEO, Microsoft and missed out on the chance to own the LA Clippers basketball team, reports contactmusic.com. Media mogul Oprah Winfrey has expressed disappointment over losing out on a chance to buy the Los Angeles Clippers basketball team. Winfrey, who is currently filming Martin Luther King's biopic 'Selma', failed to match the $2 billion offer placed by Steve Ballmer, CEO, Microsoft and missed out on the chance to own the basketball team, reports contactmusic.com. "I was in the middle of these scenes while making the bid - literally the first day I was going to shoot. I had to run upstairs in the building, find a fax machine - we're putting in the bid and I'm signing it, and I'm thinking, 'How ironic is that?' I'm playing a woman who can't get the right to vote, and now you're putting in a bid to buy a professional sports team," said the 60-year-old. As bids for the team went through the roof, Winfrey was forced to pull out of the race. "$2 billion. Ok, now that's my limit!. I always look at things as whatever is supposed to happen, happens. We went over that number, and then we went over that number again, and by the time we got to the final number it was no longer a good business decision," added Winfrey.